The End of Handwritten HOS Logs is Here. Is Your Company Ready for the ELD Switch? As of December 18, 2017, all motor carriers must comply with the Federal Motor Carrier Safety Administration (FMCSA) Electronic Logging Device (ELD) mandate which states that all vehicles must use Electronic On Board Recording Devices (EOBR’s), also known as ELD’s, as well as automated Hours of Service Reporting (HOS). Your drivers will be required to submit their automated logs at all weigh stations as well as upon request from officials such as law enforcement. The good news is that GPS Technologies has the compliance tracking application, you need so all your company’s e-logging needs are covered. When you subscribe to Geo Technologies ELD System, you’ll receive unique logins for your staff so your fleet managers will be able to track all E-log reports and your drivers in real-time. 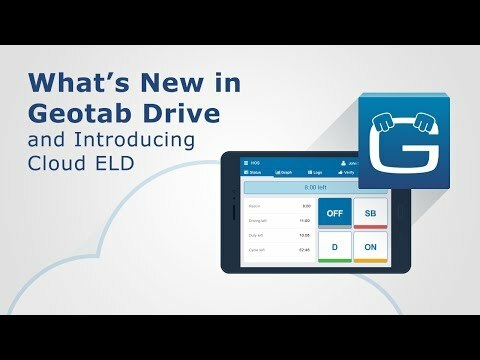 Another feature you’ll love about the GeoTab Drive app for your E-logs is how customizable it is. It allows you to set up reports like Engine Diagnostics, the IFTA report, driver risk management reports, landmarks, Geofences, and of course complete history reports. When you have your drivers use our E-log mobile they’ll have the added convenience of going completely paperless because the app allows them to track HOS, enter fuel expenses (IFTA), create logs, create DVIR, and take pictures. You’ll have more control over your fleet with automatic HOS E-logs of all your drivers, including alerts when your drivers violate the FMCSA Hours of Service cycles (HOS). With our E-log application, you can instantly communicate with your drivers via its built in messaging system making things like dispatch hassle free. Because of the automatic reporting features built into our ELD application, you get real-time Driver Vehicle Inspection Reports whenever your drivers input defects on their DVIRS. Looking for more details? 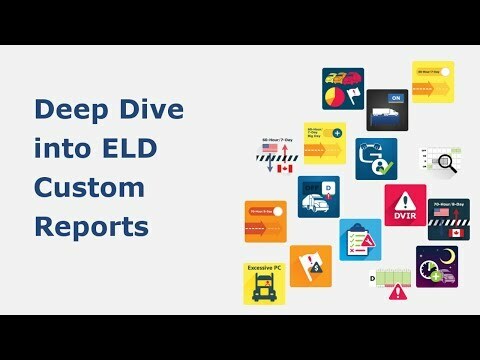 Watch the videos below to learn how our ELD System works. Here at GPS Technologies, we help you keep track of your fleet, your drivers, and your assets. Now with our new ELD System, we bring you even more so you can stay compliant with the latest FMCSA and DOT mandates. Call us today to set up your free consultation.